The aerospace industry has been working to find effective replacements for halon in airplane fire-extinguishing and suppression systems since production of the chemical was banned in 1994. Industry has conducted extensive research on halon alternatives, but fully replacing the chemical will require multiple regulatory approvals and the cooperation of all stakeholders. Efforts to find effective replacements for halon in airplane fire-extinguishing and suppression systems are promising, but much work remains. In 1994, halon production ceased in developed countries after scientific evidence suggested that halon contributes to the depletion of the stratospheric ozone layer. While potential replacement chemicals have been proposed, none of them meet all of the stringent performance requirements for aviation. As a result, the industry relies on recycled halon to meet current needs. The European Union adopted halon replacement deadlines for airplanes in 2010 while the International Civil Aeronautic Organization (ICAO) established halon replacement deadlines in 2011. This article summarizes current progress on the replacement of halon for fire extinguishing and suppression on board commercial airplanes in engines, auxiliary power units (APUs), cargo compartments, handheld fire extinguishers, and lavatories. In the 1960s, the fire protection industry began installing a new and very effective agent for use in fire extinguishers and protection systems. The agent, a class of chemicals known as halon, extinguishes and suppresses a wide variety of fires, including flammable liquids, electronics, and common combustibles. Halon is ideal for use around airplane structure and equipment because it is noncorrosive and nonconductive, and it leaves no residue. Moreover, because it is so effective in small quantities, halon is considered safe for use in human-occupied spaces such as passenger cabins and flight decks. By the 1980s, the scientific community had identified halon as an ozone-depleting substance (ODS), similar to Freon and other chlorofluorocarbons (CFCs). CFCs are very effective, versatile, and stable chemicals. However, their stability is a detriment because their long lifetime allows them to migrate to the upper atmosphere where ultraviolet light triggers a chemical reaction that may cause depletion of the stratospheric ozone layer. In 1987, the Montreal Protocol, an international treaty, established the production phaseout and use reduction of CFCs. As part of the 1992 London amendment, halons were added to the agreement. Exemptions were provided for those applications where alternatives were not available that allowed “essential use” of the available ODSs. The aviation industry was exempt because none of the currently available alternative fire-extinguishing and suppression agents could meet the stringent performance requirements to ensure safety of flight. Since the Montreal Protocol, the aviation industry has continued to rely on recycled halon to sustain its current needs. Recently, several organizations and agencies have reevaluated the continuation of the essential-use exemptions. In 2010, the European Commission amended its ODS regulation by adopting cutoff and end dates for essential-use exemptions on airplanes and other applications. A cutoff date applies to any new airplane model or major derivative upon submission of a type certification application. The end date is defined as the date after which halon shall not be used in all commercial airplanes, including the existing fleet. ICAO adopted halon replacement deadlines in 2011, and Underwriters Laboratories (UL) is withdrawing its standard for halon-based handheld fire extinguishers in October 2014 (see fig. 1). In 2010, the European Commission adopted cutoff and end dates for essential-use exemptions for halon on airplanes operating in the European Union. The International Civil Aviation Organization adopted halon replacement deadlines in 2011, and Underwriters Laboratories will withdraw its standard for halon in handheld fire extinguishers in 2014. 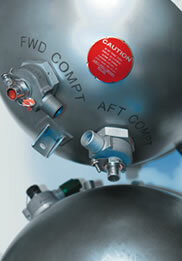 The aviation industry began researching halon alternatives more than 15 years ago. Because of stringent safety and engineering performance requirements, development and validation of alternatives has been a challenge. Alternative agents on airplanes must meet many regulatory requirements for fire protection, including the U.S. Federal Aviation Administration (FAA) minimum performance standards (MPS) which demonstrate fire-extinguishing and suppression performance equivalent to or better than halon. Alternative fire-extinguishing and suppression agents and extinguishing hardware must also be reliable and effective at extreme temperatures, at various altitudes, and under extreme vibration; be compatible with a wide range of materials and equipment, including electronics, fluids, composites, and metals; have toxicity equivalent to or less than halon; and are environmentally preferable. Some potential replacements are listed as greenhouse gases under the 1997 Kyoto Protocol, an international treaty on climate change. Their use and production are being scrutinized and are likely to be restricted in the future. In addition to agent requirements, the system for agent storage, distribution, and application must meet specific performance requirements. All fire protection system components for the alternative agents must be designed and demonstrated to function properly under all foreseeable operating conditions. Component qualification tests must ensure the component specification requirements are met. System certification tests ensure that a system performs its intended function per FAA requirements. System and component test procedures include system performance validation, environmental conditioning, structural integrity, and lifecycle testing. Operational requirements should be similar to halon systems (i.e., no significant increase in training or maintenance requirements and equivalent shelf and installation life). Finally, the system and its components must be of a size and weight that can be practically integrated into the airplane. This is particularly challenging because most of the agents with published FAA MPS concentration values require significant increases in mass and/or volume to provide performance equivalency to that of halon (see fig. 2). Extinguishers using other agents are nearly 50 percent larger and two and a half times heavier than Halon 1211 extinguishers. The size and weight of 2-bromotrifluoropropene (BTP) handheld fire extinguishers are very similar to that of Halon 1211 extinguishers. Lavatory extinguisher bottles (Halon 1301) installed in airplanes prior to 2007. Handheld fire extinguishers (Halon 1211) located throughout the cabin, flight deck, crew rest compartments, and accessible cargo compartments. Engines and APUs (Halon 1301). The extinguishers mounted in lavatory trash receptacles (lavex) were the first to have an MPS defined in 1997. Current status and next steps: Two agents passed the MPS tests in December 2000. Production qualification testing of parts was completed in September 2002. The installation certification test plan for the lavex bottles was approved in October 2002. Following FAA approval of the installation testing and certification data and coordination with the bottle and lavatory suppliers, the non-halon lavex — HFC-227ea — became standard on all in-production Boeing airplanes with standard lavatory configurations by the end of 2006. Documentation to allow replacement of halon lavex bottles on older Boeing airplanes will be available through Boeing Commercial Aviation Services in early 2012. The implemented replacement, non-halon lavex agent HFC-227ea, is a hydrofluorocarbon (HFC), which is defined by the Kyoto Protocol as a greenhouse gas and may be subject to future restrictions. The handheld fire extinguisher MPS was issued in August 2002 (see fig. 4). It specifies two tests that replacement agents must pass in addition to requiring national certification, such as that provided by UL. Current status and next steps: Of the seven potential fire-extinguishing agents evaluated, three passed the MPS and are UL approved: Halotron I (HCFC Blend B), FE-36 (HFC-236fa), and FM-200 (HFC-227ea). The bottles for these approved candidates are about one and a half times larger and two times heavier than the currently used UL-rated 5B:C Halon 1211 bottle (see fig. 2). Halotron I has a much lower ozone-depleting potential than Halon 1211, but its HCFC constituent is scheduled for a 2015 U.S. production ban, as mandated by the Montreal Protocol and the U.S. Clean Air Act, although recycled agents may be used after that date. The other two alternative agents, FE-36 and FM-200, have global warming potentials greater than Halon 1211 and are listed as greenhouse gases under the Kyoto Protocol. Their use and production are likely to be restricted in the future. Replacement of existing Halon 1211 handheld fire extinguishers with these agents presents long-term financial and environmental costs. Implementation of these larger, heavier replacement bottles may require the relocation of extinguishers or adjoining emergency equipment, redesign of interior panel structure, and recertification of extinguisher installations for in-production airplanes and retrofit applications. The increased size and weight of the bottles may also hinder firefighting performance in an airplane cabin. For the reasons stated above, Boeing is pursuing an alternative that is more compatible with existing airplane designs and airline operational requirements and will fulfill long-term environmental requirements. Boeing is sponsoring the development of 2-bromotrifluoropropene (BTP), which has successfully passed a series of tests and studies supporting FAA MPS, airplane material compatibility, and atmospheric environmental effects. BTP handheld fire extinguishers are similar in size and weight to current Halon 1211 extinguishers and have passed UL 711 5B performance tests. A toxicology testing program is under way. That program and subsequent government agency approvals could take two to three years, which aligns with the ICAO replacement dates. Concurrently, the FAA has been working with the International Airplane Systems Fire Protection Working Group to address aviation industry concerns over alternative agent toxicity guidelines. The revised FAA Advisory Circular (AC) 20-42D redefines the method for determining agent toxicity concentrations, which means that use of some alternatives in small compartments will exceed the recommended concentrations. Supporting documentation for the calculation of stratification effects is pending release, upon completion of testing at the FAA. This documentation should increase the minimum safe volume requirements for halocarbon agents. Although intended only to provide guidance, AC 20-42D describes means of compliance considered acceptable to the FAA airplane certification offices. The FAA Technical Center, in collaboration with the International Airplane Systems Fire Protection Working Group, developed an MPS for engines and APUs (see fig. 4). The MPS includes minimum concentration requirements published for three agents — HFC-125, CF3I, and Novec 1230. Because all of these agents are less effective than halon and require higher concentrations, airplane fire protection systems will be significantly heavier than halon and require more volume (see fig. 3). Some of these agents may also raise toxicity and global warming concerns by other organizations. This chart compares agents with published concentration values to the FAA minimum performance standard for engines requiring significant increases in concentration (i.e., more agent) to demonstrate performance equivalency to that of halon. A challenge is presented to airframe manufacturers because any halon alternative system would be much larger and heavier, making integration into the airplane problematic. Current status and next steps: Boeing and a supplier have been working with the FAA Technical Center on a dry powder agent since 2007. However, in 2009, testing was suspended to revise the MPS to replace the halon baseline agent with a surrogate agent, HFC-125 (eliminating halon release during MPS testing), and to better accommodate nongaseous agents. In 2010, testing resumed and continued into 2011. Meanwhile Boeing has been discussing agent/system qualification and certification requirements with the FAA Aircraft Certification Office. Stakeholder acceptance (airlines, engine, and APU manufacturers) is another challenge to implementation yet to be resolved. Once an MPS concentration has been determined, Boeing will seek final approval of an airplane certification plan for the appropriate airplane models. The cargo MPS was last updated in June 2005 to incorporate FAA and industry comments (see fig. 4). It specifies four fire test scenarios that the replacement suppression agent must meet to demonstrate equivalent performance to Halon 1301: bulk-load fires, containerized-load fires, surface-burning fires, and aerosol-can explosions. Current status and next steps: In late 2009, Boeing initiated a research effort with the National Institute of Standards and Technology (NIST) and other collaborators to understand why several promising replacement agents have failed the aerosol-can explosion test and, under certain conditions, actually promote combustion. Understanding the problem will help determine a solution and ultimately a viable agent for use in cargo bays. Future plans include an expansion of the project to collaborate with industry and other research institutions. Along these lines, the University of Maryland has been awarded a fellowship to join the NIST study, and two papers documenting initial results are slated to be published later this year. As in the handheld agent replacement efforts, the following characteristics need to be factored into determining the best replacement: ozone depletion potential, global warming potential, atmospheric lifetime, toxicity, material compatibility, airplane operating environment, system complexity, maintenance, agent size and weight, and requirements for cleanup. The replacement must also meet the basic MPS established by the FAA. Qualification and certification of a non-halon agent and fire suppression system will be more complex than the replacement of lavex extinguishers, and implementation on currently produced airplanes is several years in the future. Boeing is aggressively seeking replacement agents and systems from the fire protection industry. Like BTP, any promising agent will be investigated to understand its capabilities and viability. Efforts to find effective replacements for halon in airplane fire-extinguishing and suppression systems are promising, but much work remains for all stakeholders. Boeing continues to collaborate with industry groups and certification authorities to identify, certify, and implement halon replacements on its commercial airplanes. For more information, please contact Robin Bennett. Contributors to this article: Robert Beauchamp, Lead Project Engineer, Environmentally Progressive Products & Services for Commercial Aviation Services; Brenda Fukai-Allison, Associate Technical Fellow, 787 Environmental Performance; Mike Madden, Deputy Pressurized Compartment Fire Marshal, Payloads Design; Oliver Meier, Environmental Control Systems Engineer, Product Development; Robert Wright, Lead Engineer, 787 Propulsion Fire Protection & Software.